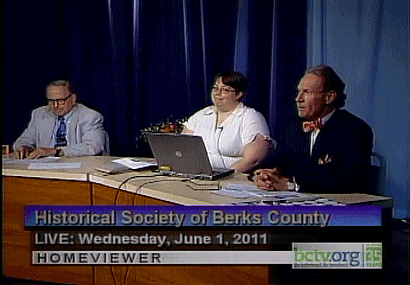 Be sure to watch the Historical Society’s Monthly TV Program on BCTV. 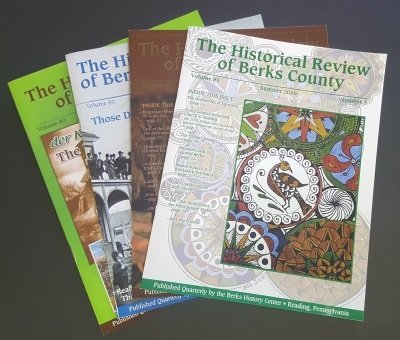 A one-hour presentation including hundreds of old-time Reading and Berks photos, news about current restoration projects, and general news regarding the Historical Society and other historical groups and activities throughout the county. Catch the show LIVE on the FIRST WEDNESDAY OF EVERY MONTH AT 7 PM The episode is rebroadcast on the Friday of the same week at 10 PM, that Saturday at 6 PM, and that Sunday at 9 AM. Please Note: We are no longer able to record our monthly TV show and make it available on our website. You can still watch the show online at the BCTV Website.